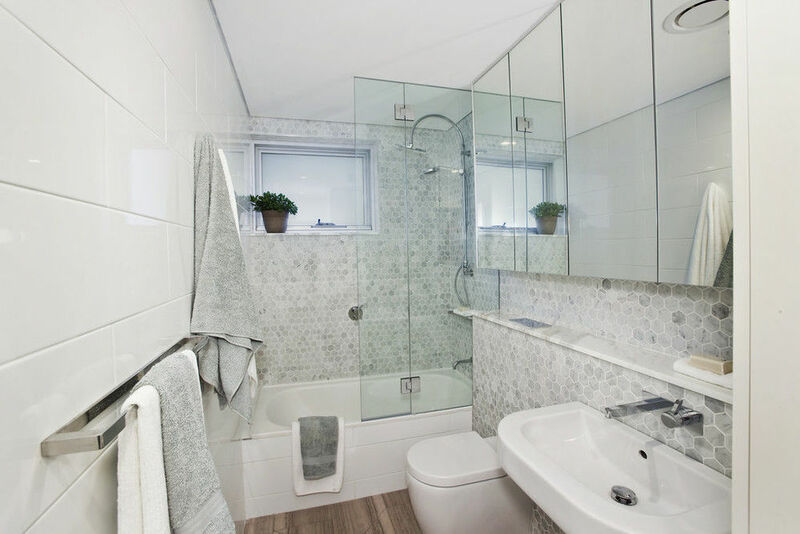 When it comes to home renovations, bathrooms are the one room you definitely don’t want to mess up and when done well can have a significant impact on the resale value of your home. When deciding on the style and feel of your bathroom the type of tiles you chose can be the factor that can either make or break the space. Tiles set the mood, colour palette and overall theme of your bathroom. So it’s important to be confident in your tile choice as obviously its very costly to change them if you aren’t happy with the result. 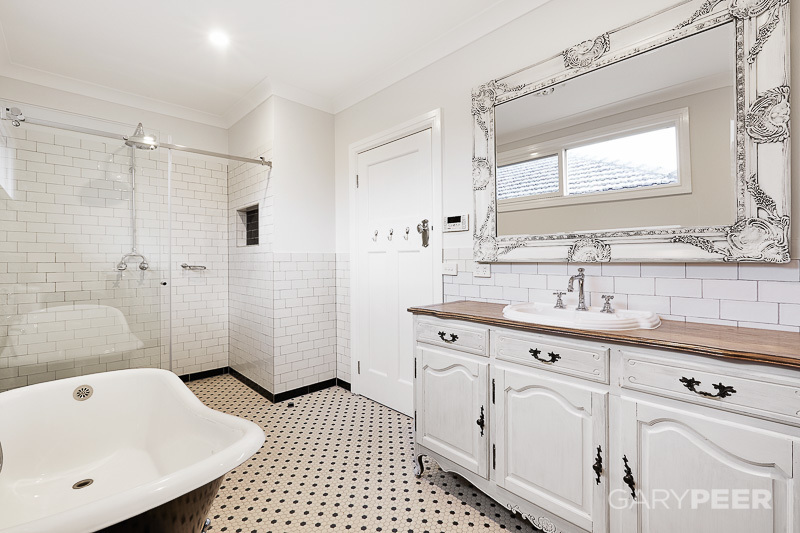 If your bathroom has seen better days but you’re not ready for a full on renovation, updating the tiles can work wonders to transform the space. Depending on the design of the rest of your house you might want to go for a more traditional neutral look or splash out on a sleek modern upgrades. 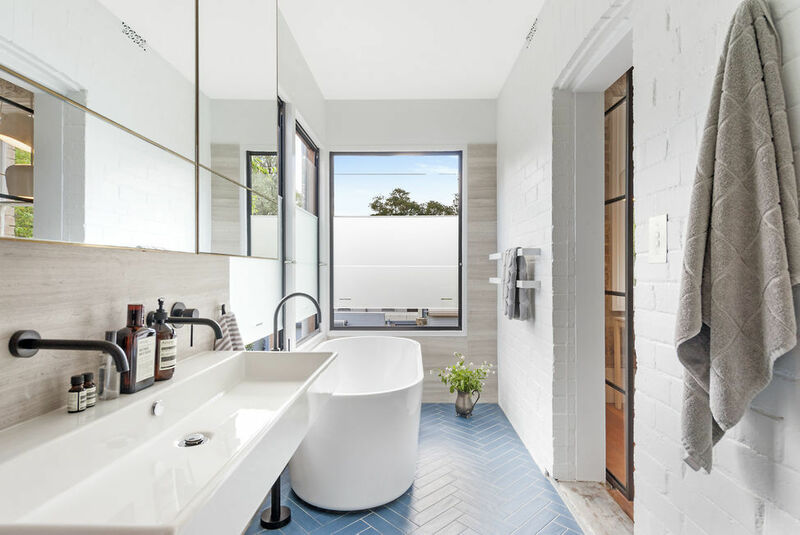 No matter your budget or taste, we’re going to take a look at some of the latest and most creative bathroom tile ideas to get inspired and dream about a new bathroom design of your very own. This elegant early 1900s bathroom staple has made a major come back of late. If modern vintage styling is up your alley, the penny round may be the perfect fit. 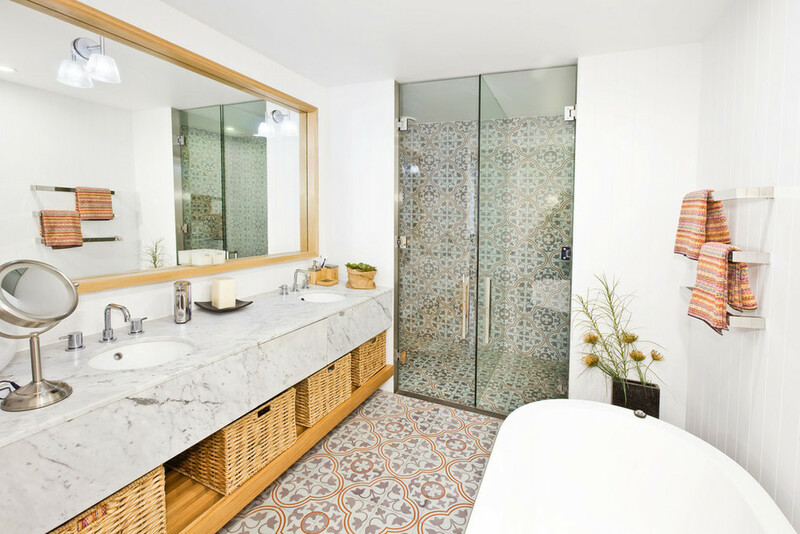 They bring beautiful intricate detail to a bathroom floor, shower niche or feature wall without having to add colour, so you can easily avoid a bathroom reno that will quickly date. They also work perfectly to soften chic modern marble walls or sleek porcelain tile bathroom fit outs. For a more modernised crisp version of penny tiles, opt for hexagon or honeycomb tiles. Hexagon tiles have a similar subtle patterned look to penny tiles but provide a chance to go bolder with more colours, texture, sizes and arrangements to choose from. Perfect for fans of retro styling and timeless appeal, the subway tile is a finish that comes in a huge variety of colours, edges and looks (matte or gloss). Popular because of their versatility, classic subway tiles can work well in contemporary, country, traditional and even industrial bathroom settings. Using a charcoal grout can transform the humble white subway tile from old school to modern in an instant. Contrasting grout will help to break up and emphasise the shapes of the subway tiles, giving you a busier brick patterned surface. For a more traditional or country look, use a grout in the same colour as the tile to achieve a more subtle and tranquil aesthetic. Evoking a restful mood, this fun feature tile would be ideal for adding pizazz to a beach house powder room or shower. 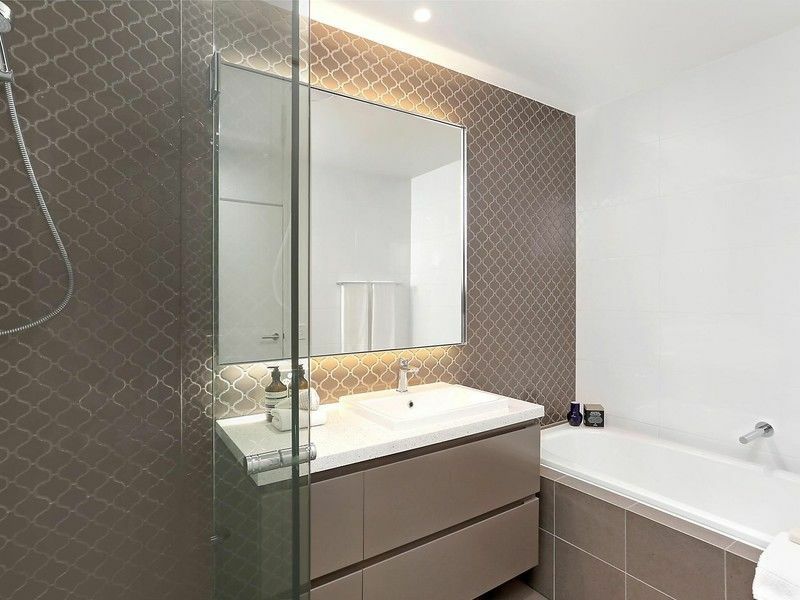 Shiny glazed tiles like these ones work best when used as decorative feature walls because they can be overpowering to the senses when used on too many surfaces in a small space and more importantly they’re very slippery underfoot when wet. For safety purposes pair fish scale feature tiles with a matte finish porcelain floor tile to reduce the risk of slips. 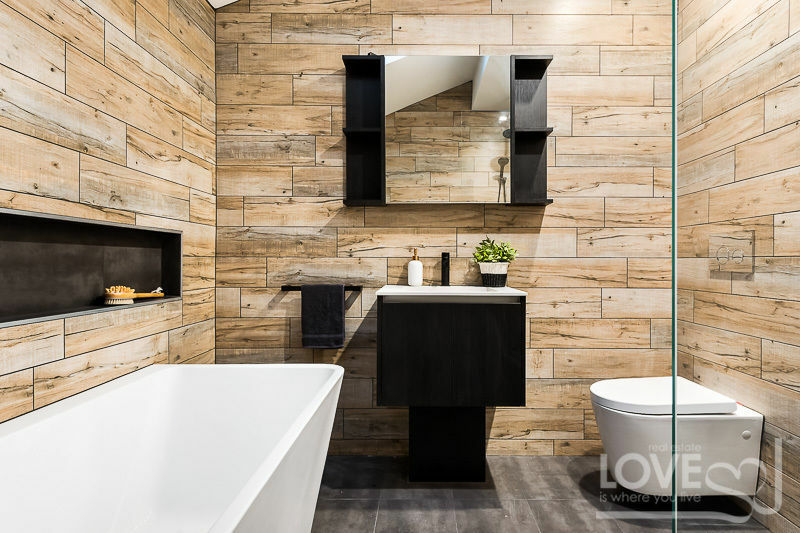 It doesn’t get much edgier than the exposed industrial appearance of woodgrain tiles. Just like traditional timber, these types of tiles come in a variety of ‘stains’, sizes and grains. Best of all some varieties have a non-slip texture, so they’re great for busy family bathrooms. For a vintage beachy look opt for a white-washed worn effect woodgrain tile. For a moody contemporary look select a rich dark chocolate look woodgrain tile with large white or grey porcelain wall tiles. For a charismatic look consider repurposing an age-old pattern typically used in timber parquetry flooring, with some herringbone tiling. Herringbone or chevron tiles inject sophistication and some serious wow-factor into any bathroom. Depending on the size and finish of tile you chose, chevron tiles can work well as flooring as well as on bathroom walls. Mix and match neutral tiles to create interest in a feature wall or add quirk to your flooring with a bold shade of large herringbone tiles. To bring understated glamour, personality and playfulness to your bathroom opt for a bold geometric tile or a shiny pattered feature tile. 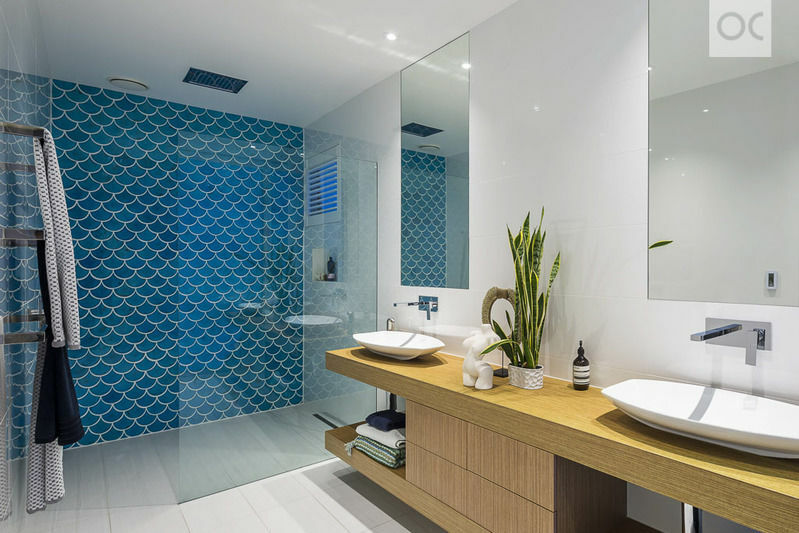 Patterns and shapes can work wonders to bring warmth to any bathroom style because of the huge variety of products and inventive designs on the market. Patterns and geometric tiles complement industrial and modern fixtures and fittings particularly well. If you’re after a cheerful, exotic or more rustic feel, there are stunning Moroccan and Spanish influenced designs with eye popping swirls, sunny colours and floral patterns on offer. Make a dramatic statement by pairing Moroccan tiling with copper or brass tap ware, Moroccan inspired pendant lanterns and an elaborate Arabian mirror. Do you have a favourite bathroom tile trend that we missed? Please let us know in the comments sections below. 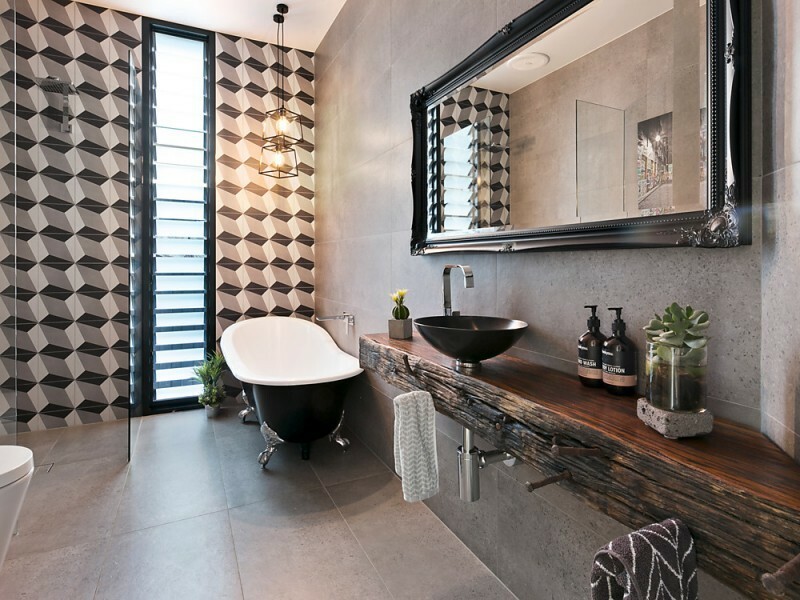 For more bathroom reno ideas check out these three hot bathroom trends.